News reports located on this page = 1. How much junk food are you drinking? 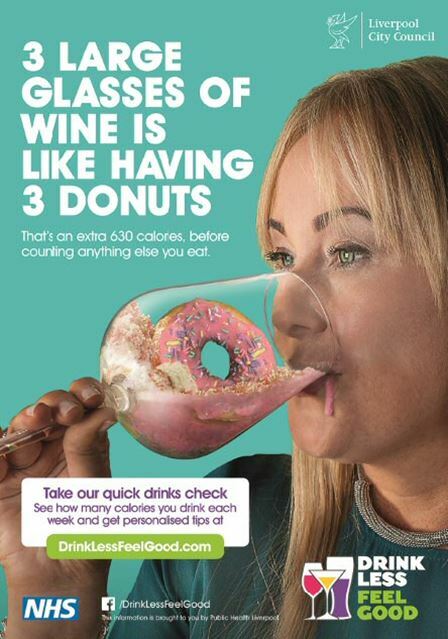 PUBLIC health officials in Liverpool are using comparisons with junk food rather than alcoholic units in a new drive to encourage people to drink less. Research carried out in the City shows that people perceive high levels of drinking as the norm and find alcohol units confusing. Public Health Liverpool is trying a fresh approach to get people to think differently and trigger a change in the way they behave. 'Drink Less Feel Good' is a new initiative concentrating instead on calories, which are seen as a more relevant and measurable equivalent. ► Drinking levels; rated green, amber and red. ► The calorie equivalent they are drinking each week shown as doughnuts. ► How many miles they would have to walk to burn their drink calories off. ► How their drinking compares to others of the same gender and age. 'My Drinks Check' will offer personalised advice and tips about how they can make small changes to their habits and daily life that will help them drink less and reduce calorie intake. Director of Public Health, Dr Sandra Davies, said:- "Over time, we have seen people drinking alcohol as part of everyday life and becoming an entrenched behaviour as they often use it to unwind at the end of the day and when socialising at the weekend. When we've asked people about alcohol units it is clear that they find it really hard to equate it to the amount that they drink, and that they don't realise that alcohol contains empty calories with no nutritional value at all. We'd encourage anyone to take just a few minutes to complete the My Drinks Check; you may be surprised how many calories you drink through alcohol." Councillor Paul Brant, Cabinet member for adult health, said:- "Making small changes to your drinking habits can help manage your weight, lift your mood, boost your energy levels and generally make you feel good. We want to make it as easy as possible for people to make little changes that can be slotted into everyday life such as swapping to lower strength beer or wine and alternating alcoholic drinks with water. We're not asking people to give up alcohol altogether; we're giving them the tools to know whether or not they are having too much, and if so give them hints and tips to drink a little less." 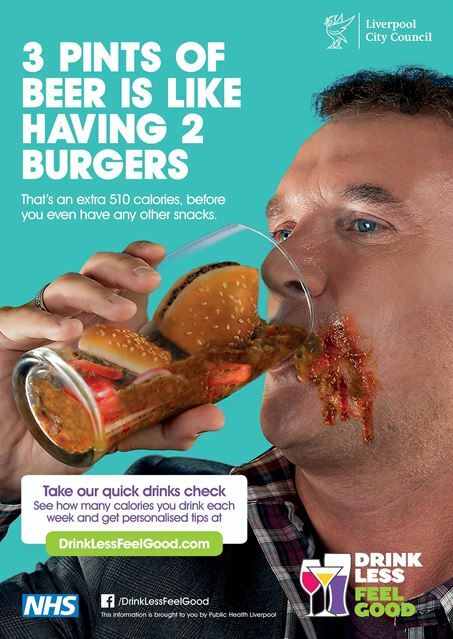 A range of communication channels will be used to raise awareness of Drink Less Feel Good including targeted digital, print and social media advertising, plus community events and information cards in prescription bags at some pharmacies across the City.